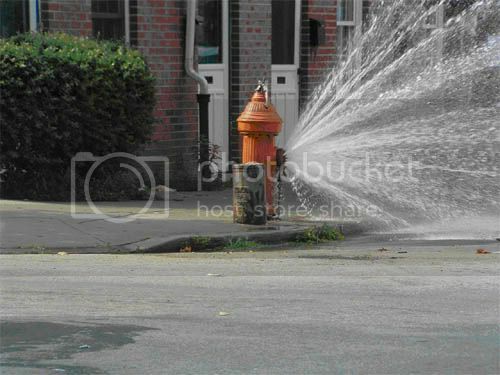 Jordy Liz Blogs: Striving for fire hydrants. As I was driving to work one morning, I was stopped at a red light. On my left, a runner was jogging up toward the intersection. As he neared the light, he slowed, kicked the fire hydrant, turned around, and ran back in the direction he came. At first, I thought it was a little much to kick and jump-turn off the hydrant. I actually found it kind of funny. But as I drove away, I got it. Sometimes we need a marker to strive for. I imagined this runner had a path. He ran down that street, then that street, then turned onto this street, would run to the fire hydrant on the corner of those streets, and once he reached it, he would turn around and his run would be halfway over. He was on the run back, and while not being a runner myself (admittedly), I can only imagine how good it feels to be on the latter half of a run. My 2011 was like his run. I was trudging, stretching, yearning to get to the point where it was all behind me. New Year's Day was my fire hydrant. I reached it, embraced it, and made the turn back to run into what I had adamantly determined to be a good year. Sometimes we need a marker to strive for so that we know today is just another day and a brighter day is coming and it's all going to be okay. On the hard days, the dark days, and the hopeless days, I held out hope a brighter day would come. And when it did, because it did, I turned around and moved forward. There are always fire hydrants popping up in my personal life - a habit I need to break, a purpose I need to define, a chain of thoughts I need to battle. There are fire hydrants in my marriage - a conversation we need to have, an attitude we need to adjust, two hearts we need to mend. There are fire hydrants in my job - a decision I need to make, a meeting I need to conquer, a situation I need to figure out. All of these are markers to strive for so that I can reach it, turn around, and move on to be a better person because of it. What are the fire hydrants in your life? My latest fire hydrant is definitely finding out what is wrong with Everett so we can fix it, get him feeling better and get him sleeping. I think we all will be better people when that happens and happy to reach that milestone! I love this. I can imagine how this runner felt and I think it is a perfect metaphor for so many things in life. Thanks for sharing!